I don't typically work with reproduction fabrics, but this collection caught my eye when Windham asked me what I wanted to work with next. The prints are lovely with plenty of flowers and dots, stripes and ditsy prints. I like to stay true to the historic period (1870) that the fabrics represent when I select a pattern, and I thought of Mariner's Compasses (I wonder why?). I do NOT drink that much coffee each day. This is from a coffee shop that my daughter Valery worked in. This is for the 100 cup makers. She sent me a few. 20" Coffee Filters, folded in half. Just convenient circles, that's all. I cut the coffee filter apart and paper pieced 8 units. Well, what do they look like? Two units together. Yes, the coffee filter is still on there so you can see it. And from the front, please? And then I super-sized my ever useful ring of Flying Geese. So glad I can do this in my graphics program (Adobe Illustrator). Adding this Geese Ring takes the Compass to a 28" diameter. Yikes! This background piece is 16-1/2" square. I can't print that. So, I took two of the geese units, taped them together and drew my curve; added seam allowance to the background piece and cut out 4 of them using freezer paper as my template material. We are talking BIG PIECES here! Even my wide format printer wouldn't print this. 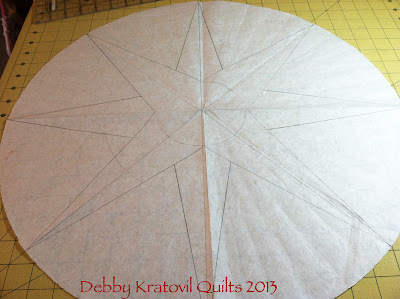 32" Mariner's Compass, pieced on a coffee filter! 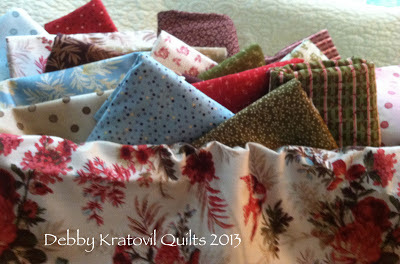 I have a giveaway of 6 fat quarters from this collection. Of course, any circle will do if you do not have a circular coffee filter. Contest is over Sunday night, June 23 at midnight (Eastern USA time). 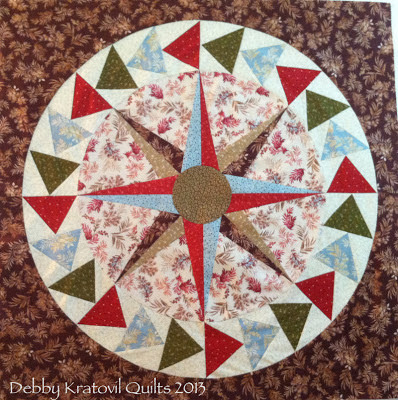 Mariner's Compass was my favorite block when I first started quilting; don't know why I never made one. Thanks for the info on how to draft my own, maybe now I have the skills to make one. 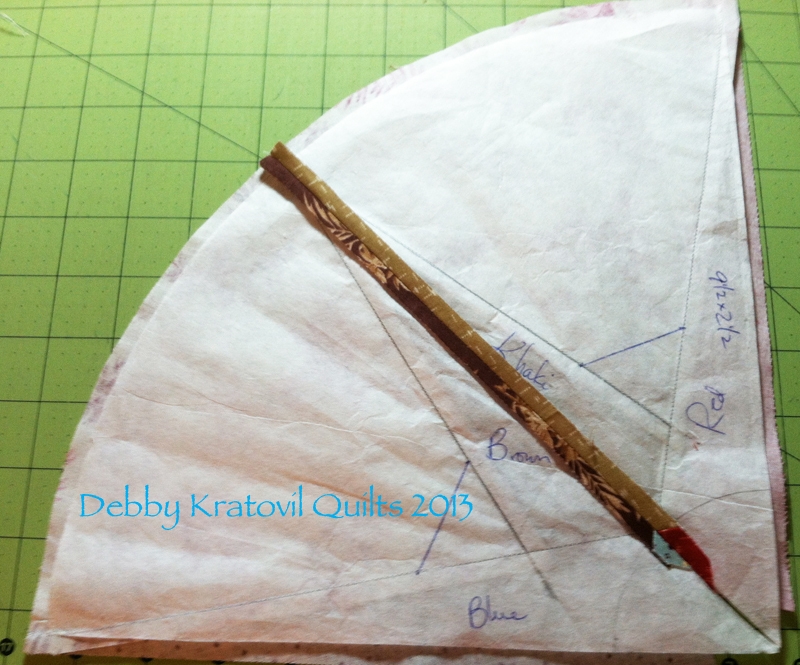 I've used coffee filters to scrap string piece on - quarter cut and then mix them up - re-sew together. I haven't tried it, but it's one of my favorite to see. One day! I've made a Mariners compass a couple of years ago for a friends 25th anniversary. Didn't paperpiece anything then......I had just started quilting back then and made a load of mistakes! It also took me forever to finish and I did have a hole in the middle to fix! I asked for advice and decided to ad a little applique circle to it. No-one knew! I loved making it. I've never made a Mariner's Compass, but this is pretty inspiring! 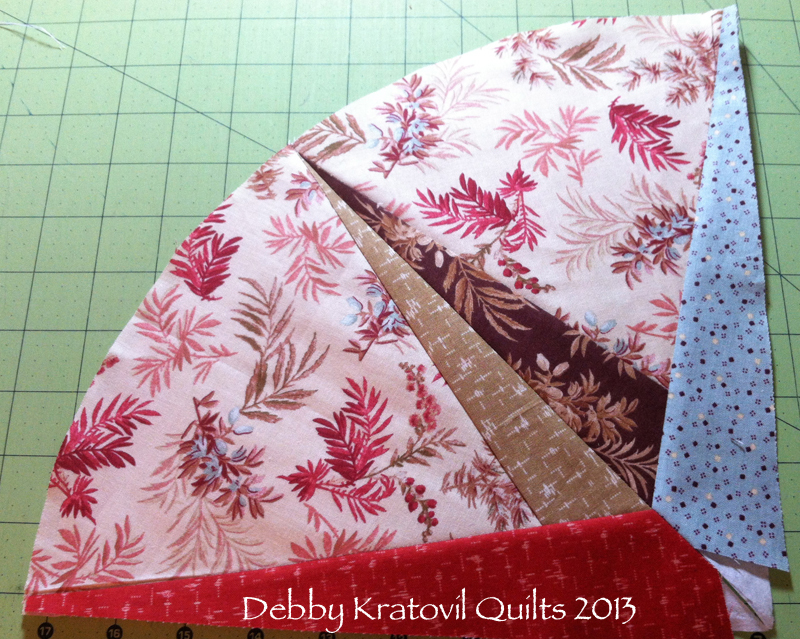 I made one as the center medallion of a Christmas quilt. Lovely fabrics. I haven't made one (YET!) but it's certainly been on my mind lately so I suspect it will be coming out soon. Thanks for the giveaway! I've never made a Mariners Compass but I shall try one following your instructions! I love the curved flying geese too - are they easy??? I have made one before but never thought of a coffee filter what a great idea. I will try that. Thanks for the directions. I love the fabric. I've never made a mariner's compass but I would definitely paper piece it. It's on my "some day" list. I haven't made one. I'd love to try, but was always a bit intimidated by the curves and points! Great tutorial! I've never made a Mariner's Compass, but its on my bucket list. This collection is so pretty! Thanks to breaking down the steps and adding another use for coffee filters! Great idea...I've not made this pattern. Maybe one day. Just trying to learn everything I can first. Thanks for your tutorial. This is the way I learn. I plan to try soon. I've never made anything as complicated as a Mariner's Compass -- it is beautiful! I've long admired Mariner's Compass quilts, but never attempted one before. Thanks for the "how-to" and the chance to win. I've never made a compass, although I love the pattern. I'd PP it, if I ever did make one. Lovely compass and thanks for the giveaway! This is one block that mystifies me and I have not taken the plunge to attempt one! Your instructions really make it do-able, for that, thank you!! Love those fabrics too! I remember when you showed us the mariners compass at the church in Tucker . You even gave us some coffee filters to use. great project and my Mariner's compass came out nice too. 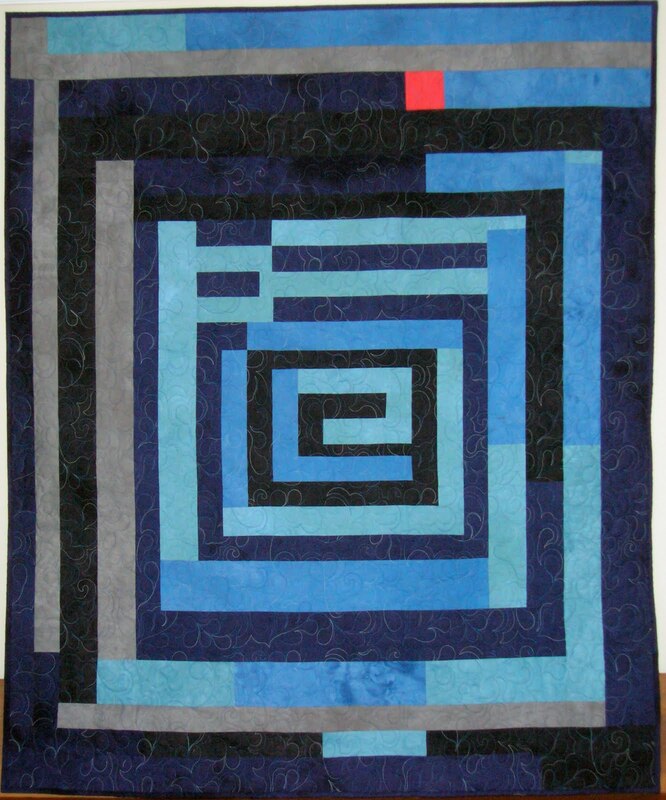 I`ve never made one but sure the pattern would be paper piecing.Your tips make to do one. I have admired from afar the Mariner's Compass.I have not made one but it makes a beautiful quilt. It's been on my list for a while now. This makes it look so easy. Thanks for sharing. 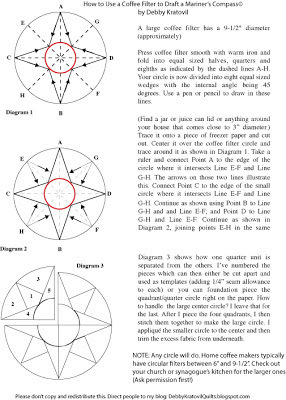 I did a mariners compass many years ago using the PP method . I love your Mariners Compass that is amazing and thanks for sharing your coffee filter method , interesting! Have not made a mariners compass yet. Would love to try someday when time permits. 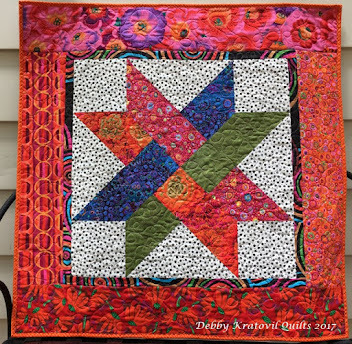 Always interesting to see how quilters repurpose mundane household items to their crafting needs! Beautiful mariner's compass. I have made one a few years ago. 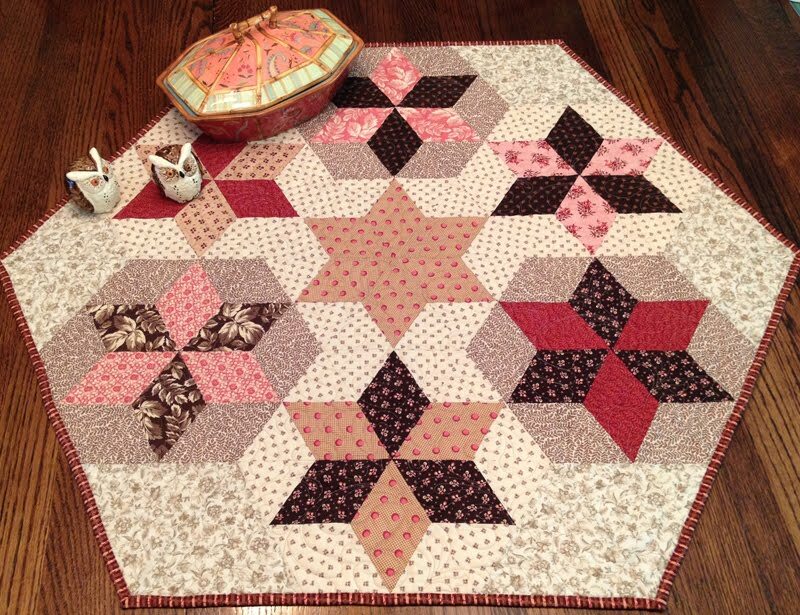 The pattern came from the Foundation Piecer, a paper piecing magazine no longer published. 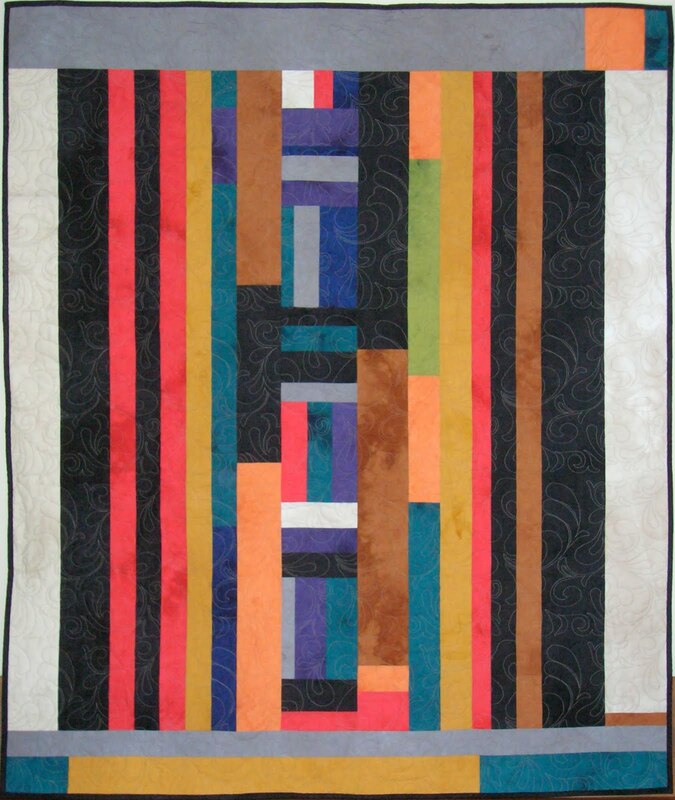 They had a millenium quilt pattern for the year and I made that. It had a compass in the center, very large. I loved the paper piecing method, my points looked beautiful. I think I've made one Mariner's Compass for a sampler quilt. It was a long time ago and I don't remember the technique. I'd like to do another so I will try your drafting method. Holy cow but you are one talented lady. Just thinking about the math hurt my head. Good thing for us slackers that we have people like you to help us out. Love the block and no I haven't tried a mariners compass yet. Thanks for a chance at the drawing. I have drafted Mariner's Compass, but never this large. I will have to find some large coffee filters on the Internet. Your block is beautiful. Wow! 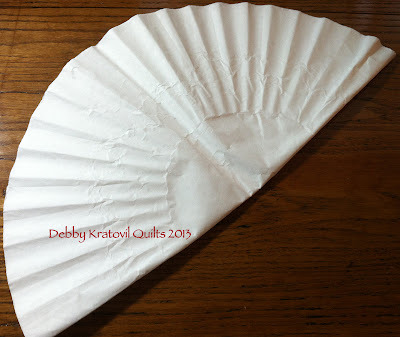 I have never made a mariner's compass, but may just give it a try with your coffee filter method! Ingenious! Thanks for the chance to win. Never have tried this but I can see guild classes popping up as I type. Actually, very cool idea! I have never tried to make a mariner's compass but love your idea of the coffee filters. Thanks for the giveaway. One of the members of my quilt guild did a demo of a large Mariner's Compass. It was lovely and made a nice wall hanging! I hope to try it one day. I have never attempted a Mariner's Compass yet. But I like your idea using the coffee filter! I hope to make one some day, I'm sure it will be using paper piecing method. Yours are so lovely, I like the geese flying around the compass. 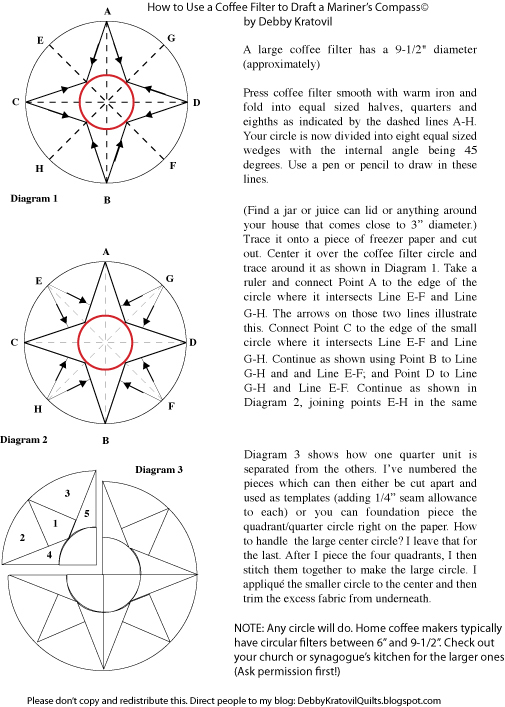 I have made a Mariner's Compass and foundation piecing is the way to go. I've never made a Mariner's Compass, but have always wanted to try one. I don't drink coffee, but I may be able to bum a few filters from a friend. Those giant filters are hilarious--I had no idea they made them so huge! What a clever way to make circular templates...you are brilliant! I have never attempted anything even close to your compass. I have paper pieced once. Your block is amazing. I love the fabric. I have not made a mariners compass yet. I was thinking that it would go good as a pillow in our front room, that is all ocean themed. thanks for the pdf. and thanks for the give a way. the colors would go perfect in our front room. Haven't tried one yet. Will get there one of these days. 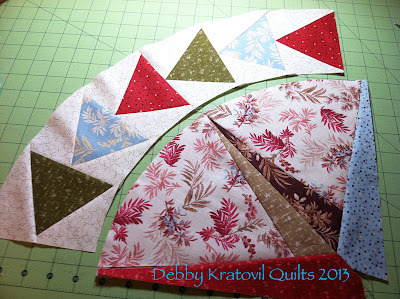 have never tried a Mariners compass block I'm new to this quilting thing just did first paper piecing last week. You make this look sew simple!! Thanks, love the fabric too! Lovely fabrics and a beautiful job on the block as always, Debby. I have NEVER made a Mariner's Compass block nor am I eager to start one. They scare me with all those points. I think the only way I would ever attemt it would be to applique it. Now, that I could do, but I prefer to leave these blocks to professionals, like you. Great job! Thanks for the giveaway. That is just brilliant, thanks for the chance to win! I haven't made an MC yet but it is on the 2013 bucket list. thanks for a fantastic tutorial, you have great vision Debbie. 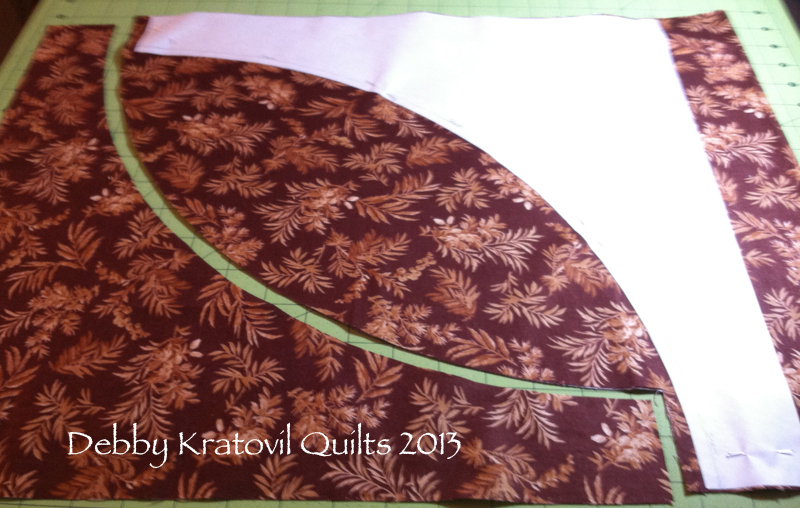 Thanks for sharing and the fabric is gorgeous. I have never made a Mariner's Compass, though I have always wanted to. This one is stunning! Hi, no I have never made a mariners compass. Thank you for the pattern and the giveaway!! That is so pretty! love it! I wish I could make a Mariners Compass. 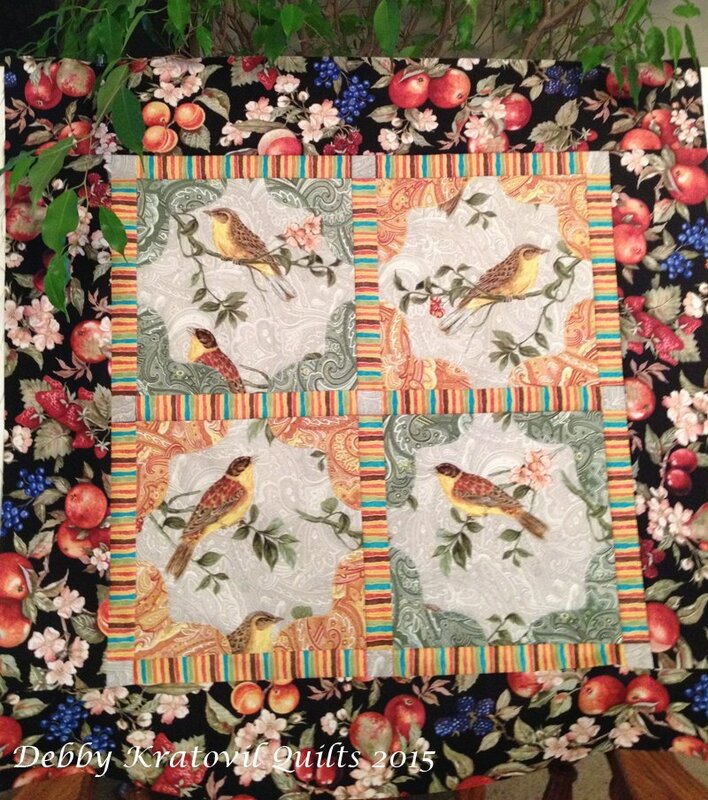 They are my favorite quilt that I have NOT made. Too daunting for me! Clever idea. I've never made any kind of Mariners Compass on any kind of paper or method. I'm a big chicken. I have never made a Mariner's Compass, but it is on my to do list! I love star blocks, so this is one I "have" to make sometime! I made one for an intro to paper piecing class. But I love the coffee filter idea! I have never had the courage to do one, maybe I'll try now because I really love the look of them. What a beautiful compass block! Those fabrics are among my favorite repros. Wyndham and Mary Koval - doesn't get much better than that. Your use of them is great! No, I have not made a Mariner's Compass. Would love to. Always loved the design. I have not made the compass, and what a brilliant idea witht he coffee filters! I have a Mariner's Compass on my wish list for this year. I want to do one for a wall hanging and practice some micro-stitching with some cool thread. I've never made a Mariner's Compass. And I had no idea that coffee filters came in such a large size. Thanks for the pattern and the giveaway. I've never done a Mariner's Compass but have to make two blocks and have them and others put together into a quilt top by the December meeting of my stitch group. These blocks were from an exchange and I was the last person to win blocks. I've been putting it off for months now but time is running out. I might have to try your technique if it looks like it will work with the blocks that have already been made. Wish me luck! you method looks great! I have wanted to make a Mariners compass but was always intimidated! Maybe now is the right time! the coffee filters are a brilliant idea-thanks! Thank you for the chance to win that gorgeous fabric. I have never made a Mariner's Compass. They looked very complex and I haven't had enough experience to make one before. After seeing the way you make them I may be up to making one now. Thanks for the giveaway and for sharing your process with us. I have not made a Mariners compass yet but it is on my list to do. I love paper piecing. Thanks for the tutorial and the chance to win. I've never made a mariner's compass, but you make it look so do-able that I will have to try it. I've always had visions of a compass and protractor and math. The coffee filter is a wonderful idea. Thanks for the tutorial and the opportunity to win this lovely fabric. I've never made a Mariner's Compass. Thanks for the tutorial and giveaway! I have never made a mariners compass before but your tutorial has inspired me to get out of "my box" try something new. 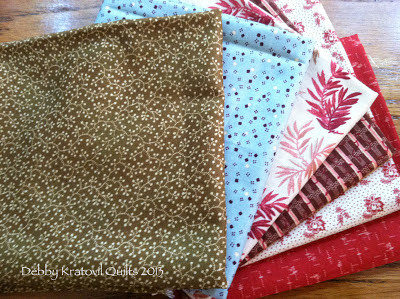 The fabric giveaway is gorgeous and a bonus for whomever is lucky enough to win it. 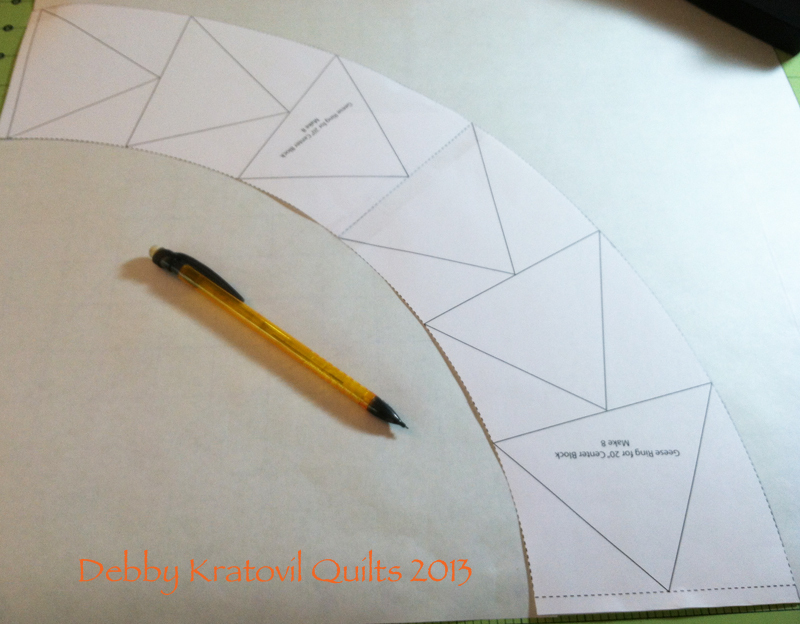 I purchased a paper piecing pattern for a large empty wall in my dining room. Have a couple Christmas stockings for new in-laws and grandchildren and then will get to it! Thanks for sharing your great ideas! I've not made a mariner's compass, but would like to learn how. Thanks for the chance. 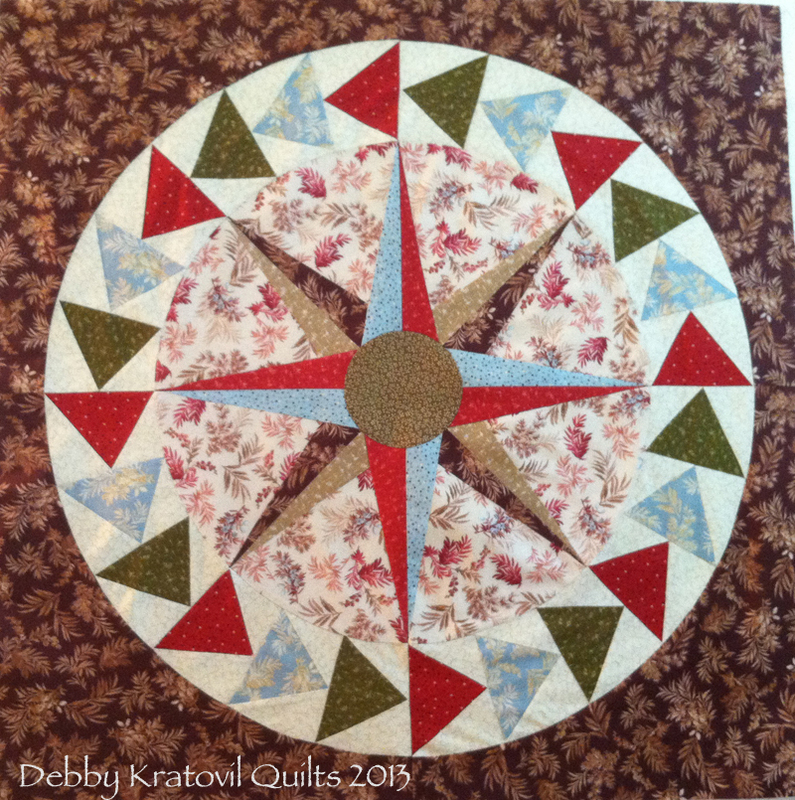 I have never made a Mariner's Compass - I love it but paper piecing scares me! I guess I'll have to find some coffee filters and give it a go! Thank you for explaining how to do it. Love your curved flying geese - I really want to learn how to make them!!! I love your compass with the fabrics. No, I have not made a Mariner's compass, but if I won these fat quarters, it would be an incentive for me to give it a go. No, I have not done a mariner's compass but it is on my bucket list. I'm betting I have a number of books on drafting them and options to modify them. I haven't crafted a mariner's compass. Paper piecing is rather intimidating. I did make one from the Elm Creek book. That was fun. I do like paper piecing, though. I have never made a Mariner's Compass. 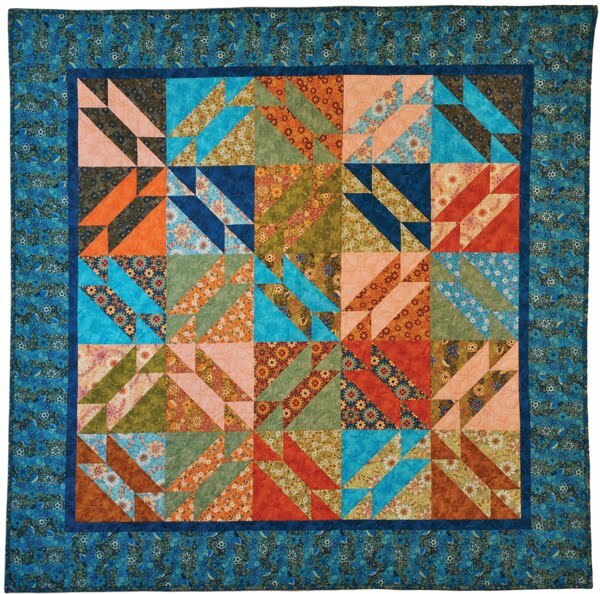 I am a new quilter and just starting to explore paper piecing and would like to try your method. Thank you! Thank you for the wonderful tutorial. I have printed several patterns for a Mariner's Compass. I also bought books with patterns, but have not yet attempted making one. Your technique might get me motivated. I've made a 6 inch paper-pieced Mariner's Compass. It's one of my favorite blocks. I did a Mariner's Compass with you in a class many years ago at the Original Sewing Expo in Schaumburg. I got it quilted when I got home and finished it. I love it. Thanks for teaching that class.